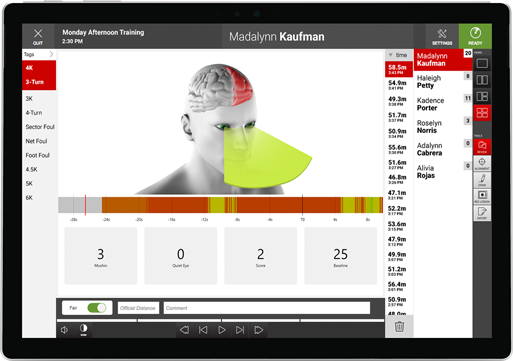 Hardware and software that works wirelessly in any training environment. 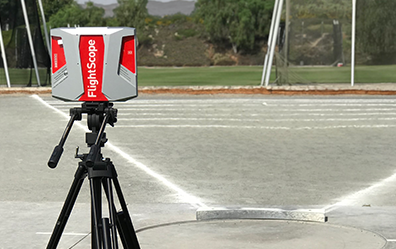 FlightScope comprises a high performance, low power, 3D Doppler tracking radar with phased array antenna technology and advanced ballistic flight analysis software to track airborne apparatus from launch to landing. 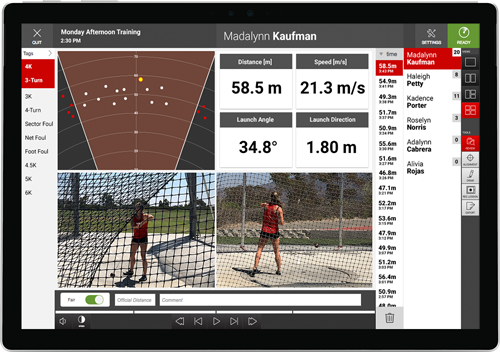 Automatically capture and view real-time throw data along with synced video to provide instant feedback and compare results. 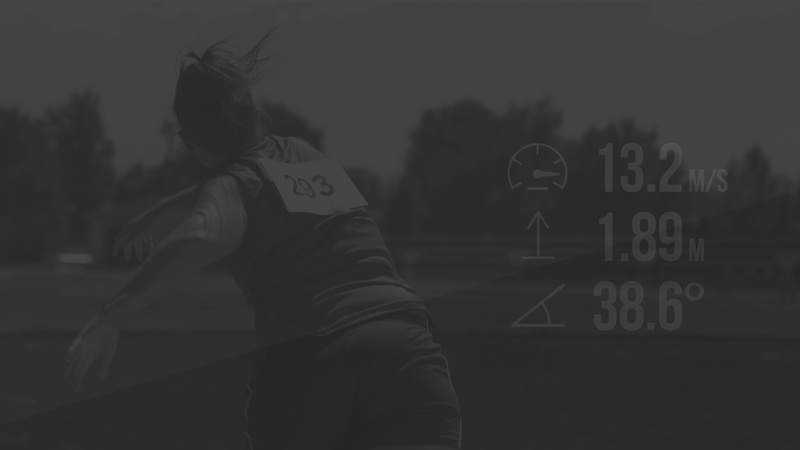 Track thrower performance throughout a session with visual implement grouping. 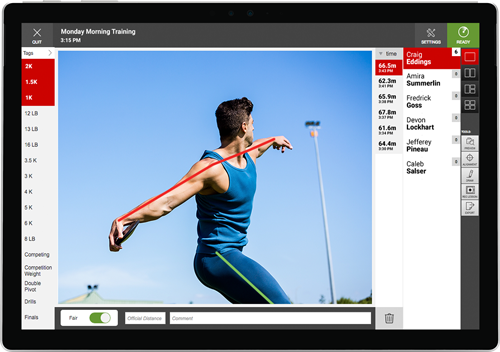 Choose from a number of data and video screen combinations to display during each session. Tag multiple weights, create custom tags, or add cue comments to optimize data filtering and review. Sort throws by time, distance, speed, or angle to spot trends and quickly navigate through similar results. 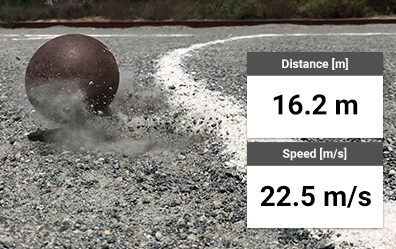 Drag and drop throw data for quick multi-thrower management and analysis. 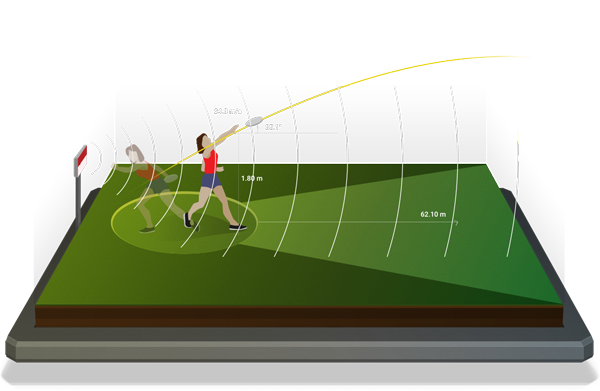 A wearable, motion-based, mind-sensing headband that measures and assists in self-training your throw routine using real-time audio-visual neurofeedback. 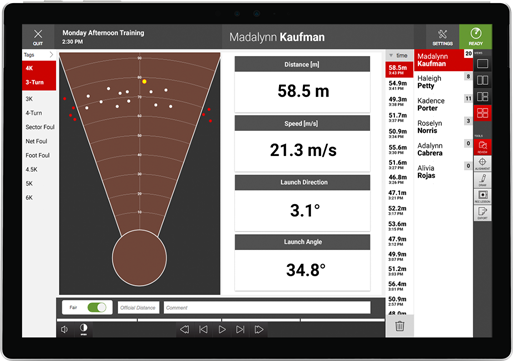 Get detailed analysis of your mental state from start of throw through impact, synchronized with FlightScope data. We are constantly improving our technology to provide our users with the best products in the industry. 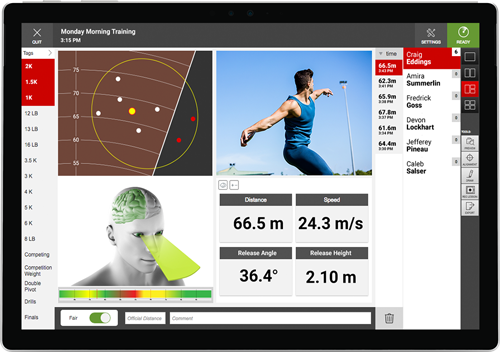 Would you like more info on the FlightScope Athletics System? Want to order right now? Call us or fill out the form below to contact our sales team. 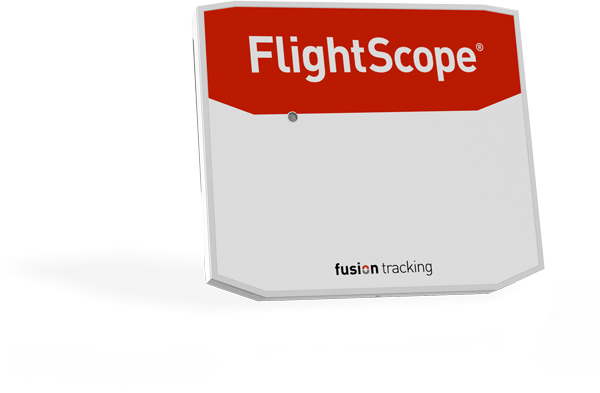 Athletics and FlightScope are trademarks of FlightScope (Pty) Ltd., registered in the U.S. and other countries.